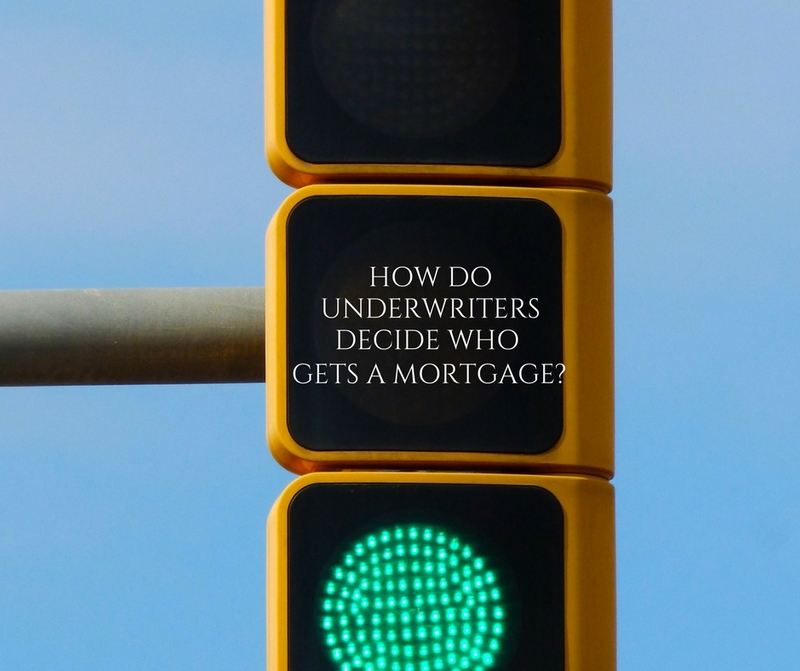 How Do Underwriters Decide Who Gets A Mortgage? Lenders haven’t changed the method used to determine if someone qualifies for a mortgage in decades. But if you’re on the outside, the one waiting to hear if you’re approved, the mystery of how they decide might be frustrating. Capacity – reviewing your income and your debts to see if you can afford to make the mortgage payment, and pay your monthly bills. Credit – a credit report contains your full credit history, your balances, and your monthly payments. Capital – do you have enough savings for the down payment, closing costs and your first payment? Collateral – analysis of the property you are pledging as security for the mortgage loan. Find Out How Much Mortgage Do You Qualify For?Find Out How Much Mortgage Do You Qualify For? Understanding each of the Four C’s in detail will help get rid of the mystery of qualifying. It might even connect the dots between the documents you’re asked to provide based on each ‘C.’ Let’s start by breaking down the first C: Capacity. Looking at your capacity to pay isn’t as simple as knowing how much money you now make every month and how much you currently owe in revolving debt (like credit cards), and installment debt (like student loans and car payments). It focuses on your history, too. How long have you earned income that way or for that company? How long have you owed this amount of debt? Going deep on your income works one way for people who are employed by a company, and another if they’re self-employed. If you work for a company, you probably have a salary and get a W-2 from your employer to file your income taxes. Underwriters review the last two years’ W-2s, plus the most current month’s income. Whatever happened in the last two years — multiple employers, time off, or a change of industry – the underwriter is trying to learn your income earning story. Since you’re a complete stranger to them, they use your paper trail to understand how much income you’ve earned. They need to decide if it’s income you can rely on into the future – so you can make your mortgage payment. You also provide your most current pay stub covering one month, whether paid weekly, twice a month or once a month. Your pay stub tells the underwriter how much you are making now, how much you’ve averaged during the current year, and if you earn any other compensation. That might be a bonus, or commissions, which lenders call variable income because the amount can vary each time. If you’re self-employed, learning your income story is more complicated, and more documents are required so the underwriter can understand it. You’ll need to give the lender a copy of the last two years of your tax returns. How you have set up your business determines which tax returns are required. For a sole proprietor reporting business income to the IRS by including a Schedule C with their tax return, the underwriter will review a copy of the last two years of your tax returns (IRS form 1040). If you have incorporated as either a Subchapter S or a C Corporation, you file additional tax returns, on top of your personal 1040. The underwriter will need to review two years of each tax forms you file to understand your complete income story. What takes the place of the current pay stub if you’re self-employed? You’ll have to provide a Balance Sheet and a Profit & Loss statement (January through the most recent month ending) for your business. A CPA doesn’t need to do this for you, but whoever prepares them must sign and date both forms. This information might be all an underwriter needs to see to get your complete story. But if your income situation is complex and the standard income documentation brings up some questions – be prepared to be asked for additional items. Once your documentation gives the underwriter your complete income story, they can move on to your debt. The primary document underwriters use to review your current debt is a credit report. They can see your current balances, the required monthly payment, and the history for each of your accounts. This information sheds light on how much you rely on debt, if you typically have large balances, and how much you pay per account monthly. Credit cards, student loans, auto loans/leases, and payments on mortgages you currently hold, are used to determine your capacity to pay the mortgage your requesting. The underwriter adds these payments to the new mortgage payment, including a monthly portion of property taxes and homeowners insurance. That total number is divided by the monthly income the underwriter calculated when they reviewed your income. This is how the DTI calculated – the debt to income ratio. It gives a percentage of how much of your monthly income has to go to pay your monthly obligations, and more importantly – how much is left over for you to live on. The maximum percentage allowed is somewhere between 43 – 45%, depending on how the underwriter feels about your overall Capacity and the loan program you are applying for. Typically Conforming loans would allow a DTI of 45%, while a Jumbo loan will be capped at 43%. Remember that the loan decision isn’t about one number or ratio, and this is only one of the four C’s. As you read about the other C’s, the process underwriters go through on every loan request will unfold. And while the process is standard – everyone’s story is different. If you know, upfront, that your the story is a little complicated, be prepared to help the underwriter document your story. This is part 1 of a 2-part series. Read about the other 3 Cs in the blog post here.